Ultra-light fluffy, soft and warm yarn. 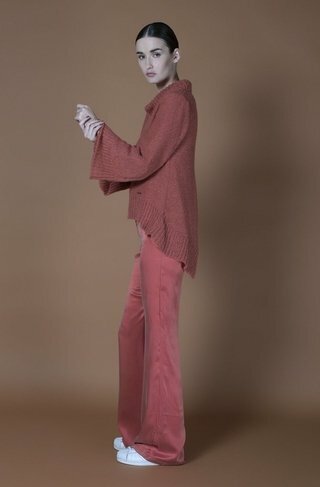 Knitted in manual machine, with flared sleeves and A-line, flared body. Round neck and long back hem. Patches detail. Firebrick coral (photo), burgundy, black, floral white, beige, camel.